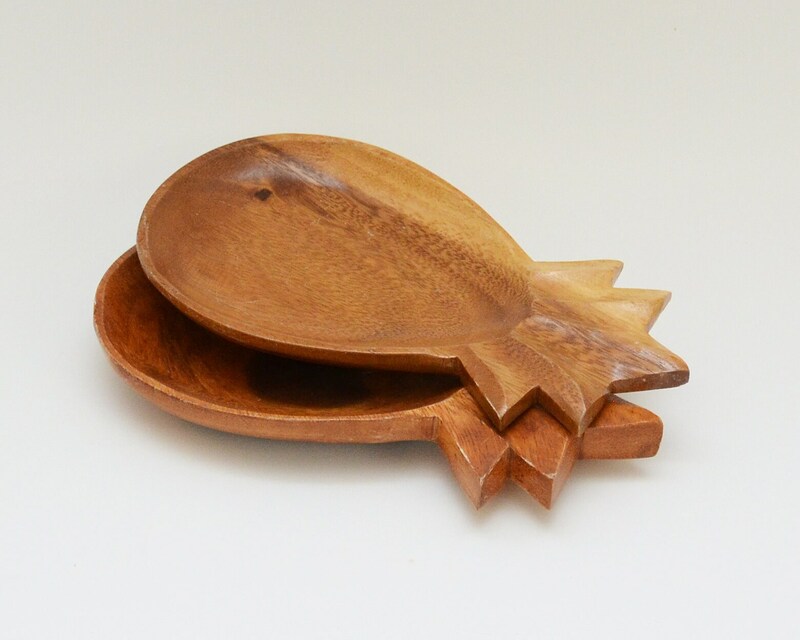 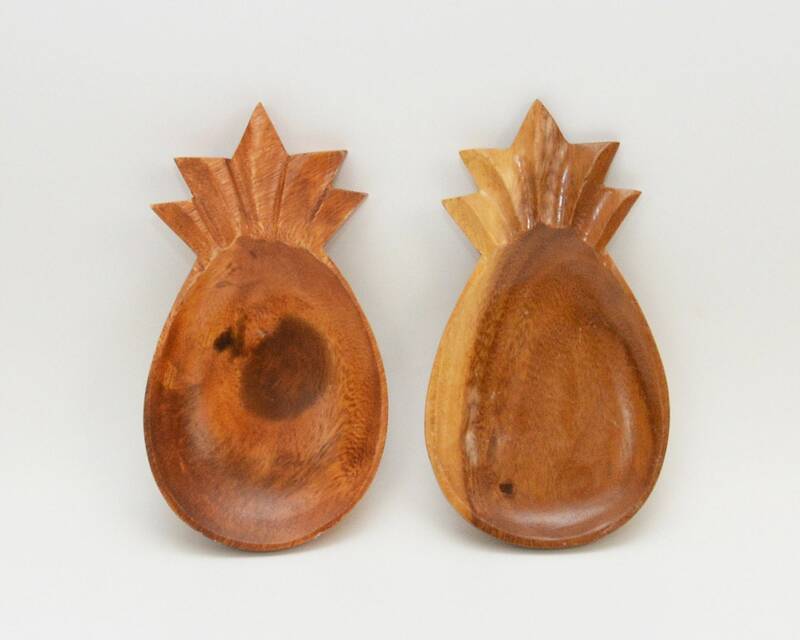 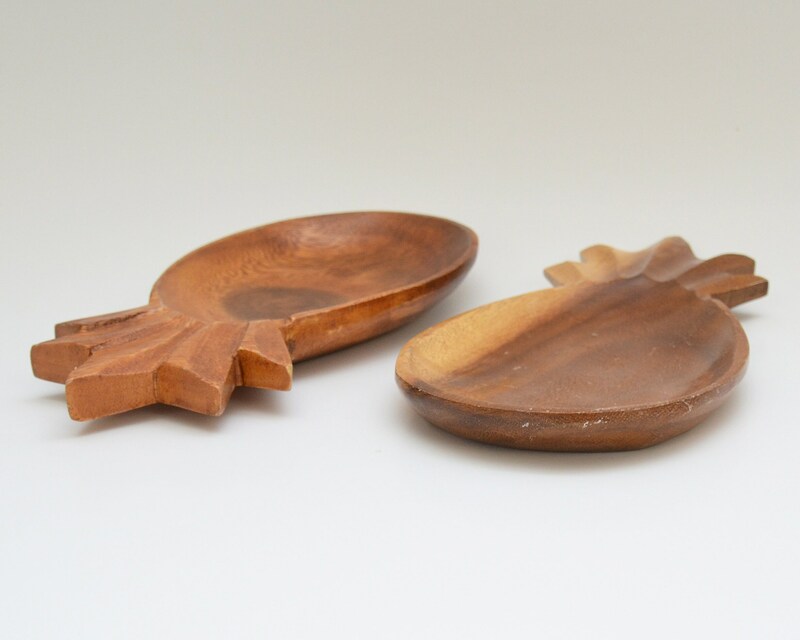 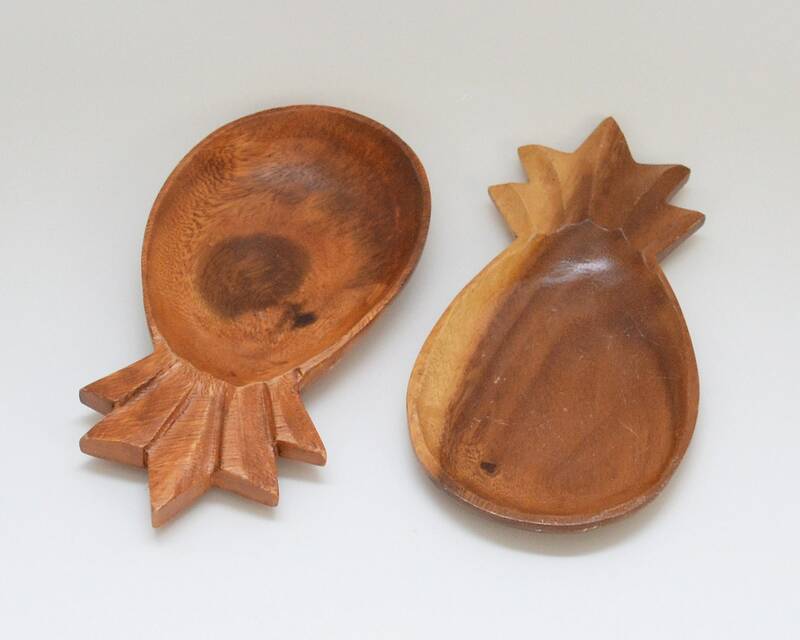 A pair of wooden pineapple trays that have been hand carved from wood with slightly varying thickness and texture. 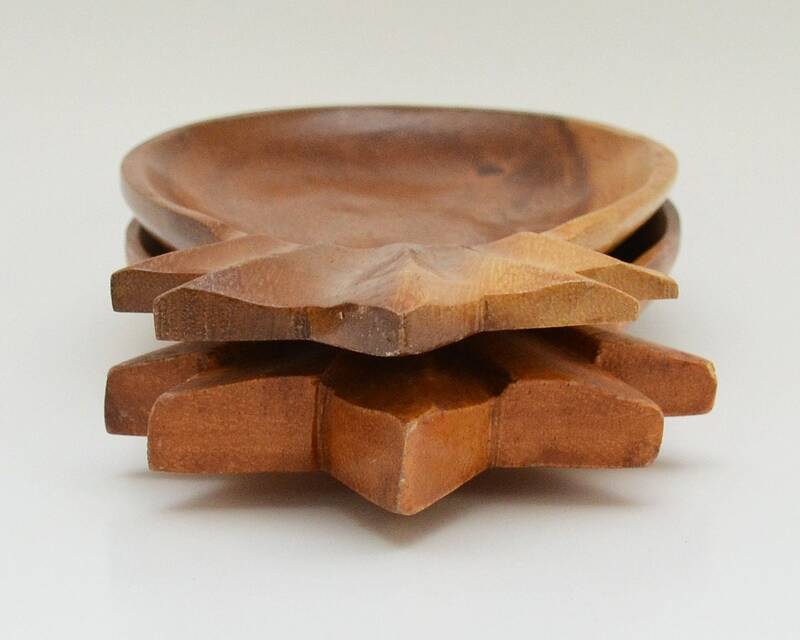 An interesting set. 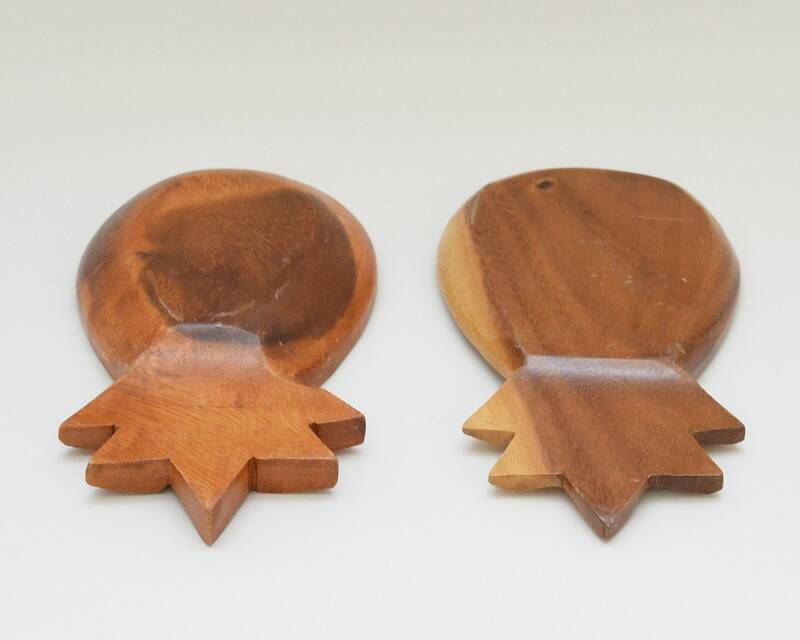 Some scratching on one, but otherwise in near perfect shape. 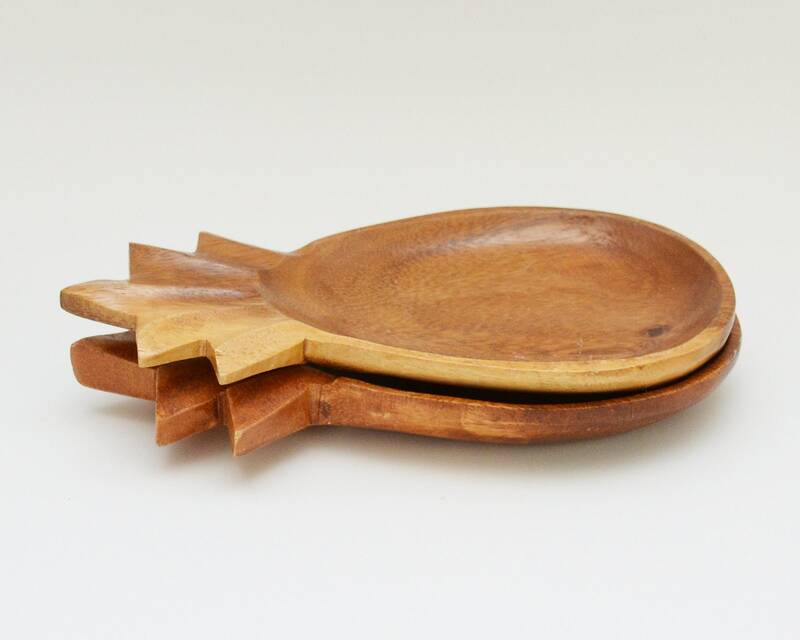 Serve cheese and fruit with a vintage twist.